I design and commission automation control panels. 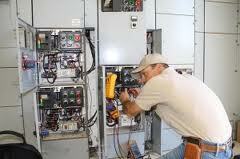 I always verify the resistance of fuse holders with the fuses installed using the terminals on both ends. I had a case once where a bad AC fuse holder with 2 ohms resistance causes terrible intermittent issues and took weeks to diagnose (sometimes a relay would pull in and other times it wouldn’t). This doesn’t show up in a check for shorts as you are expecting to see high resistance. I generally do my high voltage checkout with all cb and disconnects off and check for resistance at each side of the device. This keeps me from getting tricked by device resistances. I also make a big point to check that 3 phase is wired consistently and that motor rotation is correct based on the phase rotation (I have a tester where you turn the motor and it tells you the direction). I prefer to verify that three phase is not just in the correct rotation but also that the L1,L2,L3 are in a consistent order through ohm checking. I tend to use busbars where possible to make this easier to see which also simplifies wiring. I check low voltage panels (generally 24vdc) for shorts before I connect any devices, and I check the devices before I land them in the panel. I do a dummy check like your method 3 before I turn power on, but I’m only checking for no shorts. If a safety system is involved (and it generally is), I power up and verify the safety system before the rest of the system. Another quick note, most inductive devices have a different resistance when energized than they do when performing a power off resistance check (AC motors for example). If there are a lot of motors in a system, then it may appear to be a short when it is not. this also motivates disconnecting inductive loads like motors before checking for shorts. What are you looking for in a fuse holder/fuse resistance check that might tell you that something is wrong with the fuse? The phase to phase checks described in the article is also intended to verify that the phases are in the right order across all of the devices. Thanks for clarifying this. When I check a panel I also make sure that the motors external to the panel are off by the fact that the drive or motor contactor is off. Since the ohm checks are done with power off this is almost always the case.